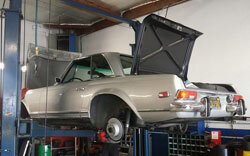 Suspension Repair Walnut Creek | German Sport, Inc. When your European automobile is ready for suspension repair, shocks and struts, or expert auto repair in Walnut Creek, we invite you to try German Sport Parts & Service, Inc. Ask about our 10% off Internet Special when you contact us for a suspension repair appointment at our Walnut Creek facility. We are conveniently located at 1400 Autocenter Drive, Walnut Creek, CA 94597 (Off North Main – Behind Midas Muffler). Call us during business hours, Monday through Friday, 8 AM to 5 PM. 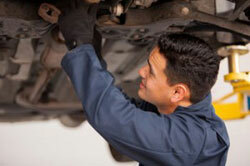 We look forward to serving you with quality suspension repair you can count on!